Can you believe that Blockchain expertise is the fastest growing skill according to the latest skills index and is now one of the hottest in the United States job market? Did you see this technology evolution coming? Less than a decade ago very few people cared for this technology which has now become a significant career opportunity for professionals. The demand for people with Blockchain skills is high. Due to its many fields of application, it is looking to hire those who have skills set to navigate this new technology. Of course, just like with any other fantastic job opportunities, not everyone is cut out for these opportunities. You must have or acquire the skills that set you apart and make an employer want to entrust you with their investment. Industries – these are big companies like banks, accountancy firms, oil & gas, insurance, retailer as well as law offices that want to keep up with the technology. Startups – these are independent businesses and products created since the invention of Blockchain. Tech firms – these are the companies that have the most to lose in case Blockchain tech takes over the world. As they try to shift to a decentralized system, they need all the expertise they can gather. Governments – many governments have been hiring crypto experts to advise them. Several governments are warming up to Blockchain due to its many advantages; Blockchain professionals are in high demand. The Blockchain Solution Architect has the responsibility of designing, assigning and connecting Blockchain solution components with the team experts such as developers, network administrators, UX designers, and IT Operations whose to develop to complete the Blockchain solutions. 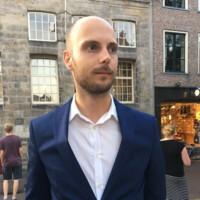 This individual is entrusted with the responsibility of connecting Blockchain projects to experts whose duty it is to develop Blockchain solutions. Blockchain project managers need to be equipped with the skills of a traditional (cloud) project manager. They also need to master the technical bit to understand the technology thoroughly. Another important ability is excellent communication skills; this is essential when addressing non-technical workers, when providing useful updates or when trying to get resources from higher authorities. With the incorporation of Blockchain into so many industries, its design as well as user interface, is becoming critical. The role of a Blockchain designer is shaping a user interface that creates trust and is alluring to a regular user. These individuals need to be able to pay attention to detail, have an artistic touch, but most importantly they need to be hardworking as their line of work requires them to spend a countless number of hours behind their computers. In any development environment, we have quality assurance engineer who tests and ensures that all areas of the project are of the required quality. In the Blockchain world, a Blockchain engineer plays a similar role by guaranteeing that all operations are of excellence in the Blockchain development environment. In other words, they conduct the testing and automation of frameworks for Blockchain. These individuals need to have a third eye as far as payment to detail is concerned because a small mistake on their part affects everyone using their technology. Excellent communication skills would also go a long way in the maintaining of good work relationships. Besides the specific roles of professionals working with Blockchain technologies, it is also important that everyone in the organization has a fundamental organization of the Blockchain. Only when everyone has an understanding of the benefits, key capabilities, use cases, and critical success factors, organizations can fully exploit the Blockchain. Did you know that there is a Blockchain job site? If you didn’t, check out Crypto Jobs List as it advertises vacancies in management, marketing, community, design, and many other roles. Love crypto and blockchain (I feel like that one goes without saying). As the Blockchain technology continues to evolve, so will it’s professional opportunities. The Blockchain is here with us to stay which means that Blockchain Expertise is to be in high demand for years and years to come. So whether you are a techie or not, a career in Blockchain is a new and exciting opportunity worth exploring.